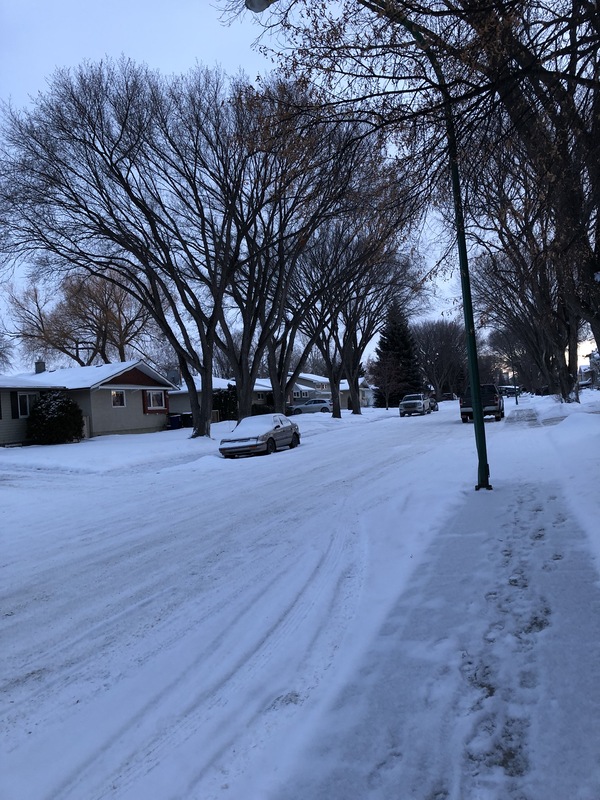 It is a cold winter day – minus 37 degrees Celsius with the windchill. Brrr! I survived and live to tell about it. I braved the chill and dark of the morning to the YWCA, swam my 20+ lengths. I am quite proud of myself. I felt an obligation to show up every Saturday morning. So far I’ve been the lone swimmer for many a week now. I dare not do a no show. They might cancel that swim time if no one shows up. I dearly love having the pool to myself. I wouldn’t mind sharing since there are 3 other lanes opened. I felt I could afford a few extra calories after my swim. I’ll be burning more off to keep warm. 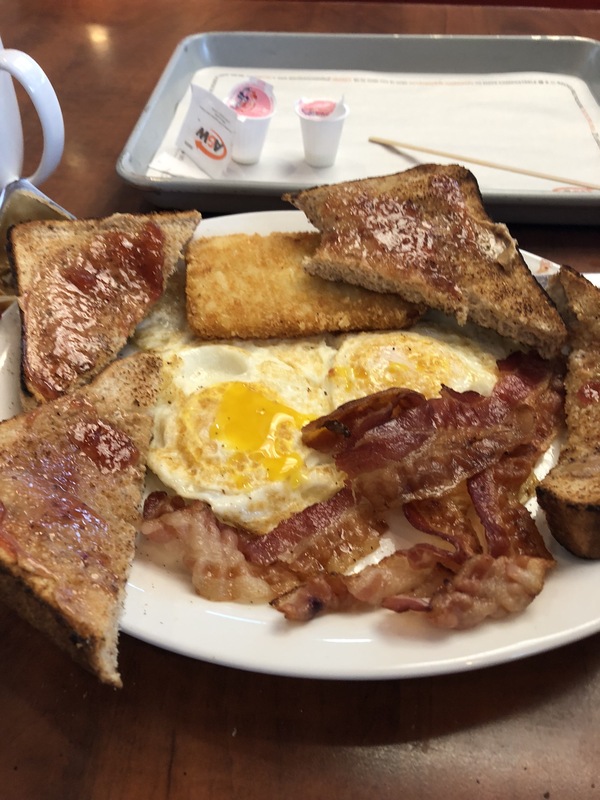 I love Saturday breakfast time at A&W. The place is bright and cheerful. Coffee is on. Staff and clientele are friendly, cheerful and bubbly. The atmosphere has that cozy small town feel. You would know what I mean if you’ve ever lived in one. I had a Classic Breakfast. It was a sweet deal. It was only $5 and some with coffee! I had a coupon. After, I thought I better gas up the car. I was on my last 3 notches on the gas gauge. That wind was cold and wicked. I was stupid to do the self serve station. I had a difficult time putting the lid of the gas tank back on. It wouldn’t do the click. I had to take off my gloves and really worked at it to click 3 times. Then the pump wouldn’t print my receipt. I had to go into the station. The young man at the cash register called me a brave woman for filling up myself. I couldn’t help but beamed a wee bit. Flattery will get you everywhere with me today. Man, my hands were so cold! Another day of the Ultimate Blog Challenge. Keep warm everyone. This entry was posted in Uncategorized and tagged AandW, brave woman, braving the elements, Classic Breakfast, flattery, life, Saturday morning, swim, the Ultimate Blog Challenge, writing. Bookmark the permalink.